There are days when the only think that will satisfy my hunger is red meat. Those days don’t happen often though and I am just as happy with a delicious vegetarian dish. I am also blessed beyond words to have friends like TheRussian, who is vegan and so when I have a chance to enter more than one recipe into a competition, I often choose to make one of them vegetarian or even vegan. For me the most versatile of vegan ingredients is Tofu. This was the case here. 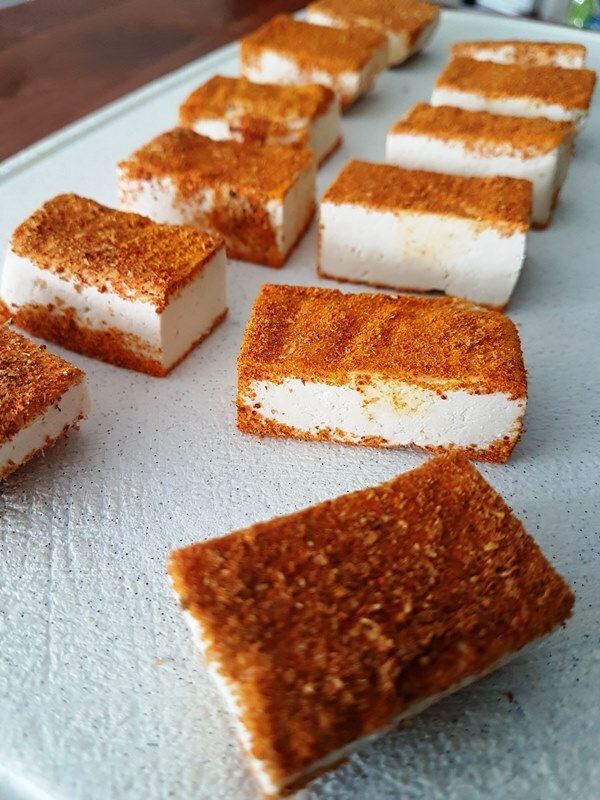 The first point of inspiration was Paneer Tandoori and I am still thinking of the soft, flavourful mouthfuls that I love to get as a starter at Indian restaurants. From there I let me knows lead me into my spice drawer to find the flavours I wanted to present. Originally I planned to serve this with quinoa. Due to the fact that my quinoa has disappeared and the only wholegrain on the Sleekgeek food list that I had in the cupboard was brown rice, that was what I eventually used. This worked perfectly with the dish and the nuttiness of the brown rice paired perfectly with the Brussel Sprouts. In addition to what I plated, you can also serve some yogurt or fresh salad, or veggies made in the same way as a platter. This can make an excellent starter or main depending on how you choose to serve it. While the rice is cooking, slice the block of tofu in half length ways, like cutting a deck of cards. Place paper towel on the cutting board and the tofu on top of that and then more paper over. Put a plate big enough to cover both pieces and then a heavy weight onto p of that. Allow to drain for a few minutes. 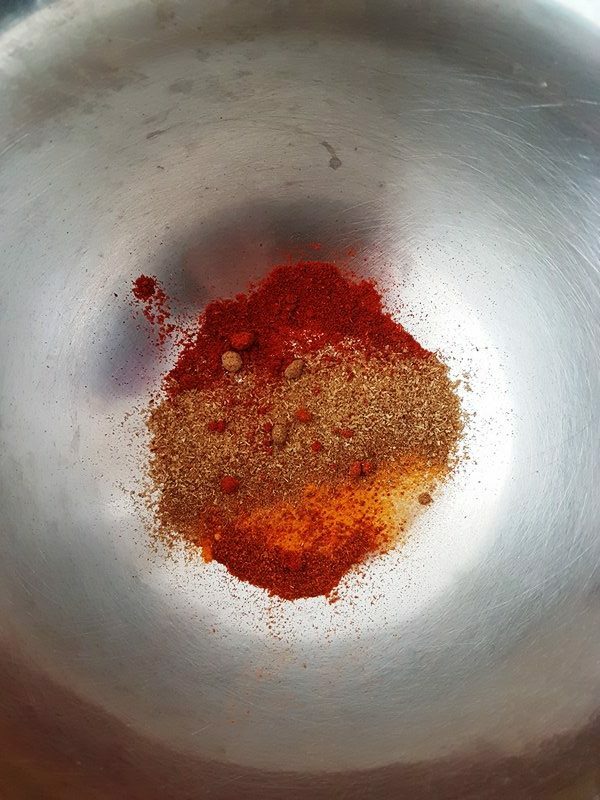 In a bowl mix all your spices as well as the salt and pepper. Remove the tofu from the paper towel and slice into blocks. Coat each block on the larger sides with the spice mix. Heat your pan up on a medium to high heat and add 1 tbs of the oil. Fry the tofu pieces and add oil into the pan if needed. In the meantime, cut the tails off your brussel sprouts and slice them in half. First of all, place them into your baking dish and add the seasoning, garlic and oil. Toss the spouts until well coated and place in the preheated oven. Check the sprouts regularly also giving them a stir every 10 or so minutes. You know they are done when they are golden brown and almost soft and smell a little sweeter than the rest of the time. Season the sprouts some more if needed. Quinoa rissoto with asparagus "oopsies"